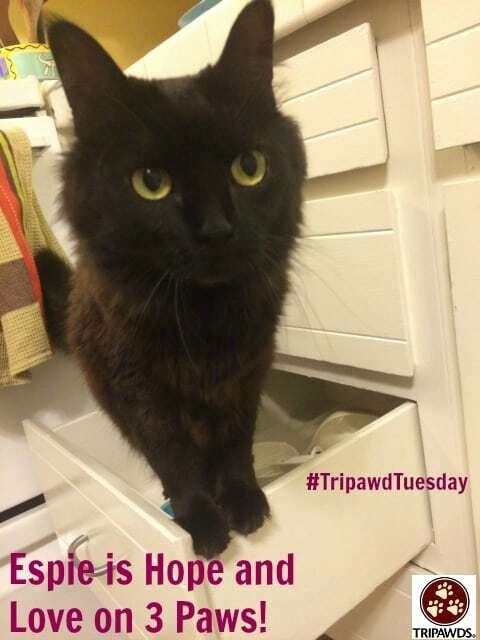 Today’s Tripawd Tuesday feature proves that we don’t choose our pets, they choose us. 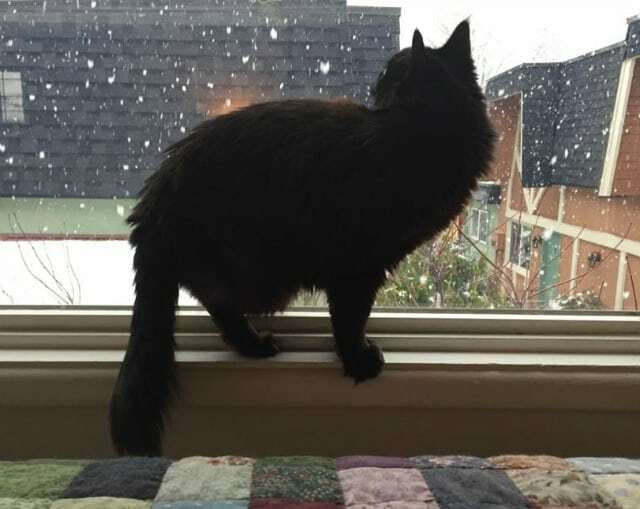 Meet Espi, a three-legged TriKitty sweetie who found her way to her mom just when she needed hope for better days ahead. Espie picked the purrfect parent. Here is her story as told by Monique, a freelance writer in Oregon. What we know of Espie’s story and how she became a tripod is that she was hit by car on a highway outside of Portland. A Good Samaritan found her and brought her to the Oregon Humane Society, where the veterinary staff amputated her leg and placed her for adoption. She is the spunkiest, most loving and hilarious kitty you could ever imagine, and we love her dearly! Join Team Tripawds, Let’s Puppy Up, Chicago! Espie is adorable. I’m happy she found Monique.